America’s Rescue Dogs Got Talent! Watching one of the recent ‘America’s Got Talent’ and seeing the group of rescue dogs performing amazing tricks, reminded me of all the working rescue dogs out there. 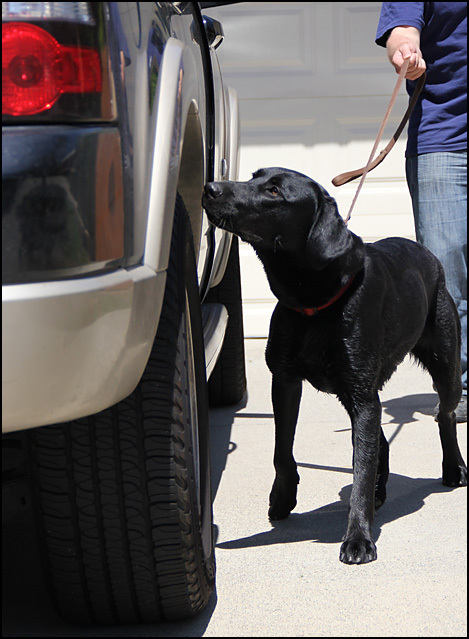 While we appreciate dogs, who were bred to relentlessly work on finding those roadside explosive devices or flushing out terrorists and criminals, there are more dogs coming out of a rescue situation, proving that they are just as excellent in doing their job. The National Search Dog Foundationis a non-profit organization, founded in 1996 by Wilma Melville, after she worked with her dog at the terrorist-bombed Federal Building in Oklahoma City and realized, that there are not enough search and rescue dog teams in the Nation. The organization has volunteers and staff members combing through shelters throughout the country to find canines who fulfill the extraordinary skills it takes for them to become a search dog. They train the dogs, once rescued and now to become rescuers, and their handlers. 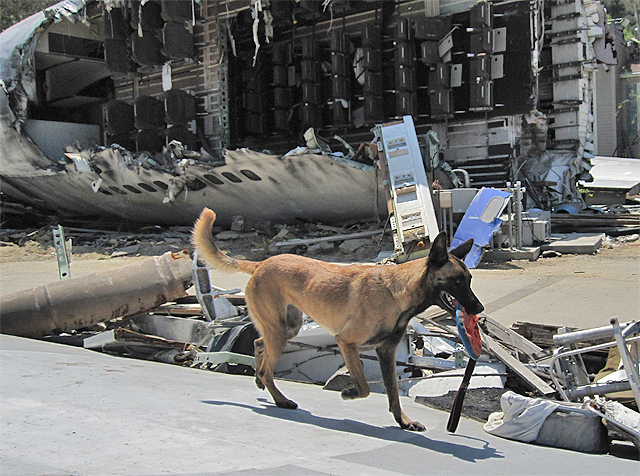 Some of their dog teams have been at the 9/11 grounds, searched areas after Hurricane Katrina, went to Haiti and Japan, working hour after hour to find any living survivors. However dire the situation, when the search dogs appear, everything just seems a little bit better and a glimpse of hope returns. But the Search Dog Foundation is not the only organization who employs former shelter dogs. Many groups turn to shelters in order to find those unadoptable high drive and toy crazy dogs. Often these dogs have been turned in by their owners, because they were not able to handle them, in some cases, they may have turned aggressive over their toys. Sometimes, the dogs would jump the fence over and over again, because they were just too bored. Dogs, who need a job, cannot be tired out by a brisk walk in the morning. They need a lot of mental exercise, high drive play, strenuous physical exercise and obedience training – not necessarily something, a typical pet dog owner knows how to do. Finding a dog at the shelter and train it for work is as rewarding as winning the lottery for me, but it is also very hard to turn away a dog, who almost has the potential and may be too much for a pet, but is not quite there. For most sad stories, there are successes though. 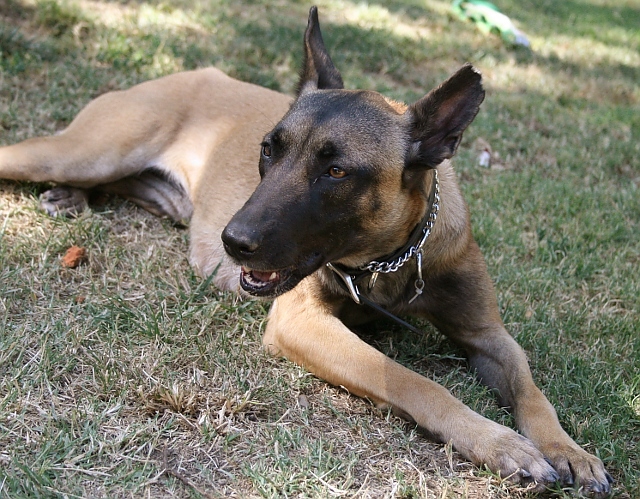 My own personal dog, Frida, who got rescued from a shelter in Los Angeles, is a Search and Rescue dog and I have been fortunate to since find and train dogs for many other jobs, such as cellphone, explosive, narcotics and contraband detection, even e.coli and bed bug detection. With the right dog, any K9 job can be done – there are many talents and hidden treasures in our shelters! If you are toying with the idea of rescuing a dog, here is a starter on how to find the right companion for you. And how to select a dog from a breeder vs. a rescue. Most shelters and rescue organizations are looking for volunteers to walk or foster their dogs. This may be a good idea to get started and find out more about the responsibility of what it means to own a dog!